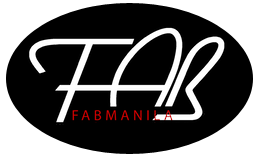 Fabmanila.com : ALL THE BEST TO ANN COLIS, ALEXA ROSALES AND WEN SASULUYA! ALL THE BEST TO ANN COLIS, ALEXA ROSALES AND WEN SASULUYA! BINIBINING Pilipinas-Tourism 2015 and newly-appointed Bb. Pilipinas-Globe 2015 Ann Lorraine Maniego Colis is now in the thick of pre-pageant activities of the 42nd Miss Globe Pageant that will culminate at the Rose Theatre in Toronto, Canada on October 8. Anywayz, Ann is bound to stand out come finals night. Good luck, girl! In Malaysia, 17 delegates from 9 Southeast Asian countries are now gathered for the Miss South East Asia Tourism Ambassadress 2015 (MSEATA) Pageant set for October 2. The Philippines is represented by Miss Tourism Philippines 2015 winner Alexandra Mae Bautista Rosales of Calamba City and Queen of the Philippines 2014 finalist Rowena Lucero Sasuluya of Guiguinto, Bulacan, who dazzled members of media for their colorful Mindanao tribal costumes during a press meet. The Miss South East Asia Tourism Ambassadress 2015 is being held in conjunction with the Asean Transport and Logistics Show (Atlas) 2015 and the inaugural Asean Transport and Logistics Award (Atlas Awards) in October. A total of 17 hopefuls from nine Asean countries including Malaysia, Indonesia, Singapore, the Philippines, Vietnam and Laos will compete for the title of Miss South East Asia Tourism Ambassadress 2015. MSEATA 2015 president Tan Sri Danny Ooi said the delegates will be involved in several activities around Kuala Lumpur and Putrajaya until Saturday, while the winner will be crowned on Friday at Sunway Lagoon Hotel and Spa, the same venue for the Atlas 2015 event. Atlas 2015, organised by D'Touch International and the Centre for Asean Logistic Studies (CALS), will be held from Thursday to Saturday at the Mines International Exhibition Centre, and will feature industry products, services and innovations for buyers and sellers of the Asean Economic Community. The Atlas Awards 2015 aims to recognize companies and experts in the transport and logistics industry, as well as their best practices and services.